YARDMAX offers a durable, versatile and efficient power sweeper, able to conveniently clean and clear debris from hard to reach or open spaces all year round. Whether removing dirt, leaves, twigs or snow from sidewalks, driveways or patios, or dethatching or removing gravel or mulch from lawns, this adaptable power broom is effective across a wide assortment of surfaces. 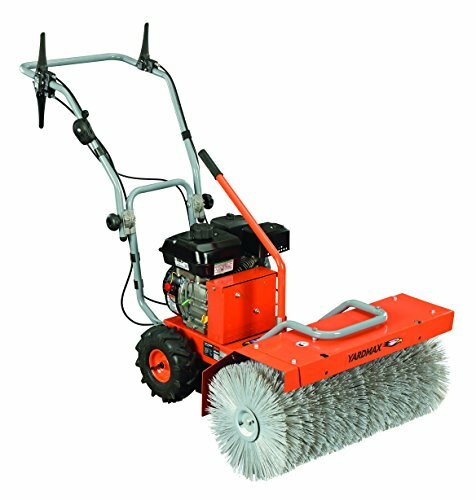 With many enhanced design features, user-friendly operation makes this power sweeper an ideal solution for keeping yards, parking areas, gas stations and more clean, safe and looking great. If you have any questions about this product by YARDMAX, contact us by completing and submitting the form below. If you are looking for a specif part number, please include it with your message.